Migrants get a second chance at asylum. But it’s still "an uphill battle." Although migrant families separated at the border this summer are getting a second chance to make their case for staying in the country, immigration lawyers say the Trump administration is working overtime to upend the nation's asylum process. Ruby Powers didn't rush to celebrate when her client, a Honduran mother who has been separated from her 15-year-old son and detained for four months, passed her second "credible fear" interview to restart the asylum process. Although the president and the American Civil Liberties Union have come to an agreement giving migrant families separated at the border this summer a second chance to make their case for staying in the country, immigration lawyers say the Trump administration is still working overtime to upend the nation's asylum process. And while a few hundred people may get a second chance at asylum, there are likely tens of thousands of asylum-seekers who will be subject to a tightened asylum process. The primary source of their unease? U.S. Attorney General Jeff Sessions, who has fought hard to tighten his grip over the asylum process through this summer's since-overturned “zero tolerance” policy that separated migrant parents from their kids; his overt criticism of Trump’s decision to return to “catch and release,” where undocumented immigrants are not immediately deported; and his June announcement that removes domestic abuse and gang violence from consideration in most asylum cases. There is also a federal effort afoot to change the Flores Settlement Agreement, which prohibits the federal government from detaining migrant children for longer than 20 days. As recently as Sept. 18, Sessions said he's considering reviewing a case that would remove immigration judges' power to release detainees on bond. If reversed, the result could be prolonged detention for immigrants who are awaiting asylum hearings. With a backlog totaling nearly 750,000 cases as of the end of August, asylum-seekers might face months, even years, in detention. Sessions has called for greater scrutiny of asylum cases, arguing that once asylum-seekers have their "credible fear" interview and are released into the United States, they often "simply disappear" and fail to show up to their ensuing immigration hearings. “The asylum system has been abused for years to the detriment of the rule of law, sound public policy and public safety — and to the detriment of people with just claims,” Sessions said in a speech to immigration judges early this month. Asylum denial rates are at a 12-year high. According to Syracuse University’s Transactional Records Access Clearinghouse (TRAC), a repository of federal immigration data, more than 61 percent of asylum claims were rejected last year. And fewer individuals are passing the "credible fear" interview, one of the initial and most essential steps in the asylum process. A July TRAC report noted that court findings of credible fear “began to plummet” in January 2018. By June of this year, there was a "credible fear" finding in only 14.7 percent of cases, down from 32.7 percent in June 2017. The asylum process was notoriously complicated long before Sessions. “The interviews are not that long, you don’t get that much time to talk, and sometimes the asylum officers don’t ask follow-up questions that might be helpful for you to understand what you’re supposed to explain and go into detail about,” Willis said. Separating families under "zero tolerance" compounded the trauma, she added, and certainly didn't help asylum-seekers in their "credible fear" interviews, if they even had them. Many migrants were deported before getting the opportunity. In Powers' case, the Honduran mother's successful second "credible fear" interview doesn't guarantee a successful asylum case; it's merely the first step in a seemingly never-ending process. She's still being detained in a detention complex in Pearsall, in South Texas, with no release date. She only found legal representation three weeks ago. And though her son was released to a family member in the United States, she hasn't seen him since they were separated. "Being detained, being in a fishbowl, being traumatized, not being reunited [with her son], that’s hindering our ability to build the best asylum case that we can," Powers said. 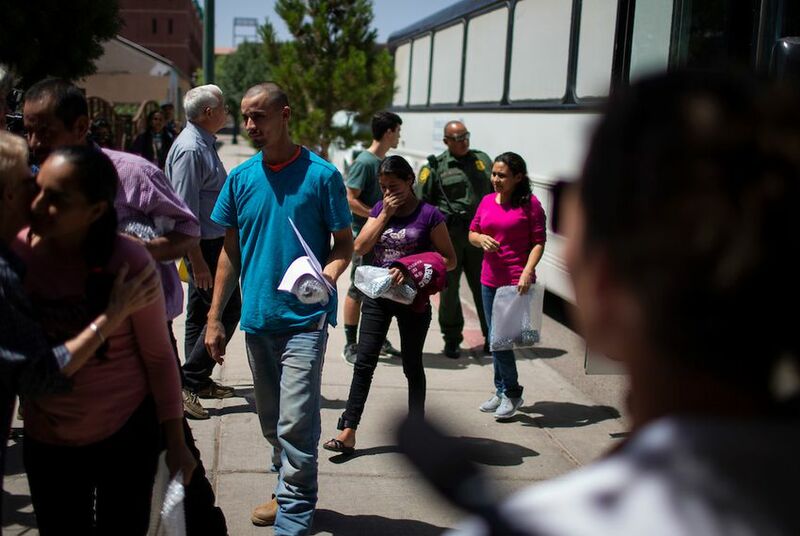 Even with a second chance at asylum for separated parents, more hurdles await in the courts. Eleanor Acer, the director of Human Rights First’s Refugee Protection Program, which recruits and trains lawyers to represent migrants pro bono, said there’s worry over how much influence Sessions has on the judges who make asylum decisions. Representatives for the Justice Department declined to comment for this article. But speaking to the immigration judges earlier this month, Sessions cautioned that he expected quick work from their courts, with an emphasis on prosecution. “As we work to restore rule of law in our immigration system, we will send a clear message to the world that the lawless practices of the past are over,” he said.